Contralto Elizabeth Pétillot enjoys a versatile career as an engaging soloist, chorister, educator and choral conductor. Her repertoire includes operatic roles such as Carmen, and Mamma Lucia (Cavalleria Rusticana), symphonic works such as Handel’s Messiah, Beethoven’s 9th Symphony, Mahler’s 2nd symphony and the Alto Rhapsody by Brahms. A champion of new music, Elizabeth has worked closely with many renowned composers including Libby Larsen, Michael Colgrass, Dan Welcher, and Robert Kyr, on their chamber, operatic and oratorio works. 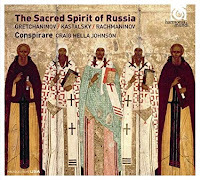 She has recorded and performed under the direction of Matthew Halls, Wayne Marshall, Helmuth Rilling, Craig Hella Johnson, Paul Hillier and Peter Phillips. 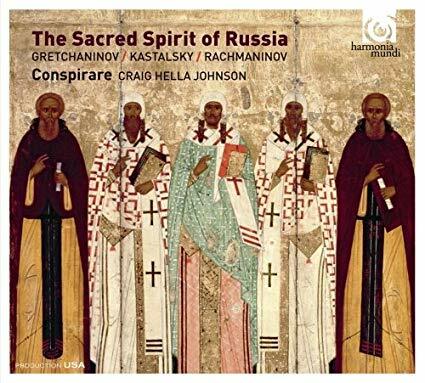 Elizabeth has had the honor of recording two Grammy® nominated CDs with Craig Hella Johnson and the Conspirare chamber choir including the 2015 Grammy® winning album for best choral performance: The Sacred Spirit of Russia, and the 2016 Grammy® nominated The Poet Sings: Pablo Neruda. 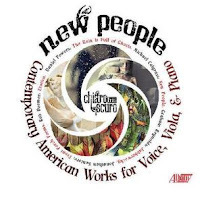 She also released an album of contemporary American chamber music with her ensemble The Chiaroscuro Trio entitled New People (Albany Records, 2013). Elizabeth currently lives in Bordeaux, France where she teaches classical and non-classical vocal technique at l’école de musique, danse et théâtre Dominique Boudot. Having recently won a national exam for voice professors, she is now a tenured faculty member. 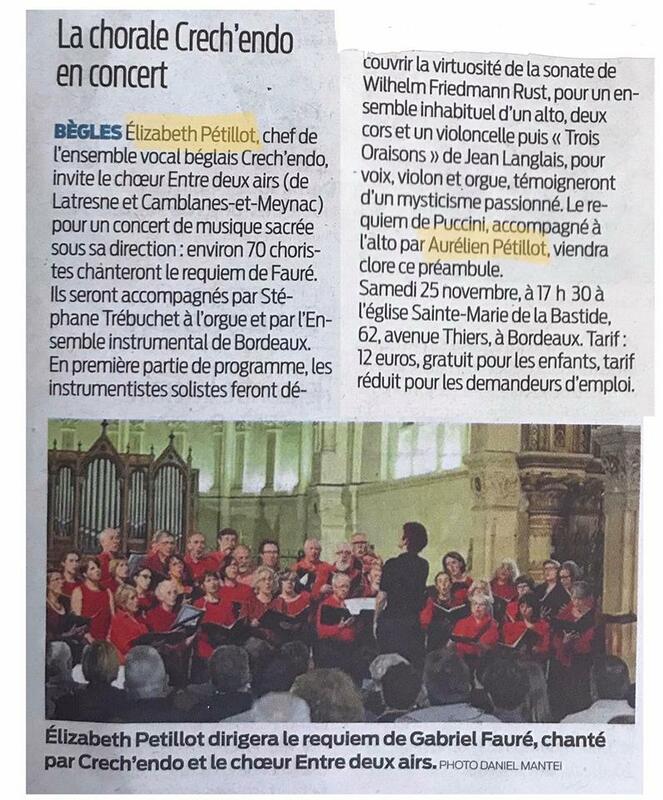 Elizabeth sings locally as a soloist with choral and orchestral ensembles in large oratorio and symphonic works and also in the chorus at the Opéra du Capitole in Toulouse, France. 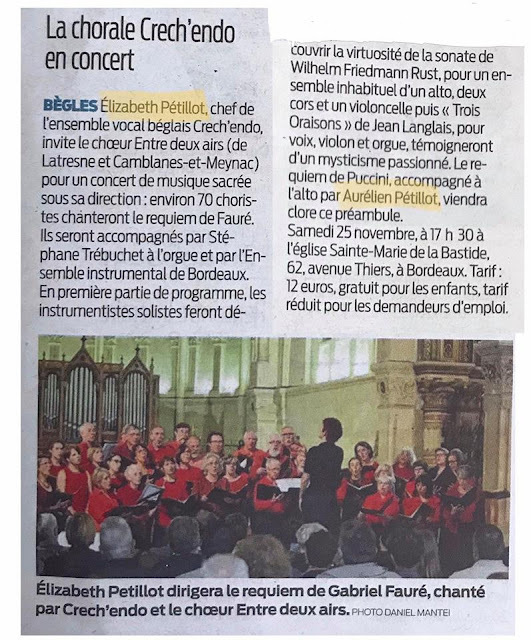 She directs four choral ensembles in the Bordeaux area including a recently created men’s chorus and a women’s chorus now in its 4th year of activities. She recently directed her 40 voice mixed choir Crech’endo, along with 30 other choristers from the region accompanied by a professional chamber orchestra in a performance of Fauré’s Requiem and has spearheaded a new festival for women composers which will take place in March of 2019, in which her semi-professional ensemble Castafiori will perform accompanied by the Cordiale Quartet. Before moving to France in 2014 Elizabeth taught classical voice and directed of the university women’s chorus at the University of Wisconsin - Eau Claire. Elizabeth received her Bachelor’s degree in vocal performance from Indiana University Bloomington and both her Master and Doctoral degrees also in vocal performance from the University of Texas at Austin. In addition to her life as a performer, Elizabeth is a dedicated scholar and is currently writing about the history and modern notion of the contralto voice. Elizabeth speaks English, French and Italian fluently and is happy to be discovering life in the Southwest of France with her husband and son. Her talk would focus on life as a musician in France and in the States, its rewards and its difficulties. But, more than a lecture, she'd love for it to be an exchange, and a Q&A.